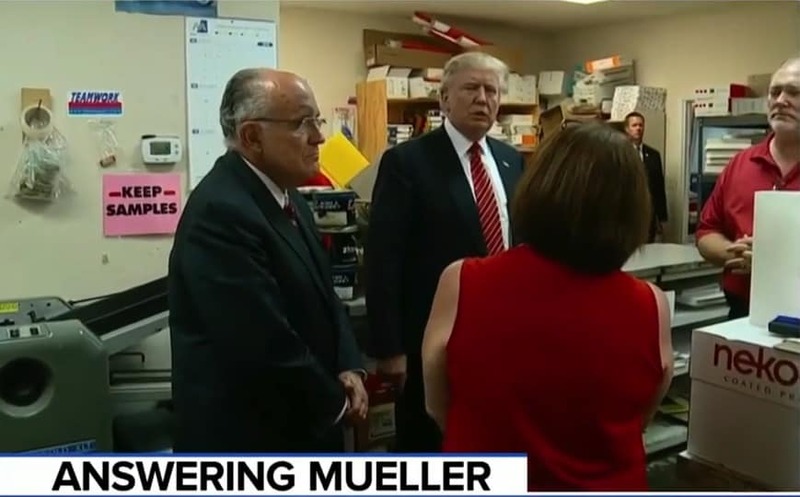 Former federal prosecutor, U.S. army prosecutor and NBC News/MSNBC legal analyst Glenn Kirschner spoke to MSNBC this morning, providing his opinion on why President Trump is refusing to answer certain questions being asked of him by Special Counsel Robert Mueller. Kirschner explained that Trump’s attorney, Rudy Giuliani, will refuse to answer any questions that they deem to be incriminating. “When we hear that they won’t answer questions about, for example, obstruction of justice, that is plainly because the president would be boxed in by such questions,” Kirschner explained. “For example, ‘Mr. President did you participate in drafting the narrative on Air Force One of what happened in the meeting at Trump Tower between your son and your son-in-law and the Russians.’ If the president were to answer ‘Yes’, then now he has admitted potentially to obstruction of justice. If the president answers ‘No’, he has probably earned himself a false statements charge,” he added. Kirschner emphasized that Trump’s excuse that he doesn’t want to answer questions because they conflict with his own executive privilege simply is not the real reason that Trump and his legal team is so against cooperating with Mueller. Instead, he explained that Trump is ‘boxed in’ and would ‘incriminate himself’ by answering questions in regards to obstruction of justice. If Trump does not answer all of the questions that Robert Mueller asks him too, Mueller could issue a subpoena trying to force the president’s testimony. At this point, Trump’s legal team would likely take the issue up with the courts and the Supreme Court would likely decide on the issue.